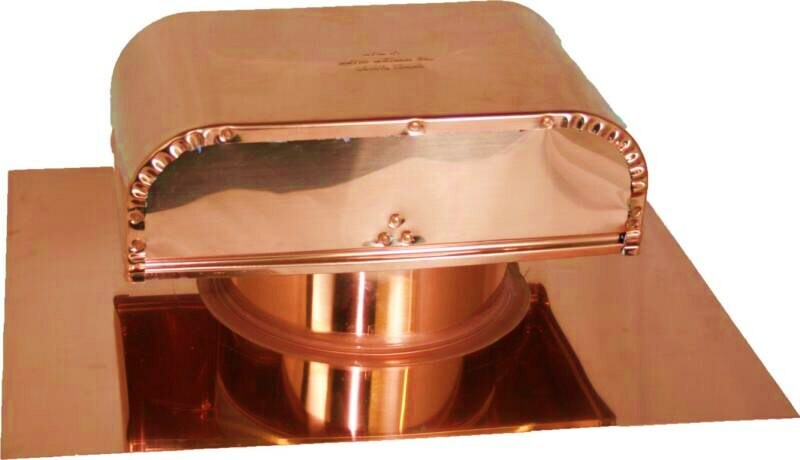 Roof mount exhaust vent for kitchen, bath or other appliances. 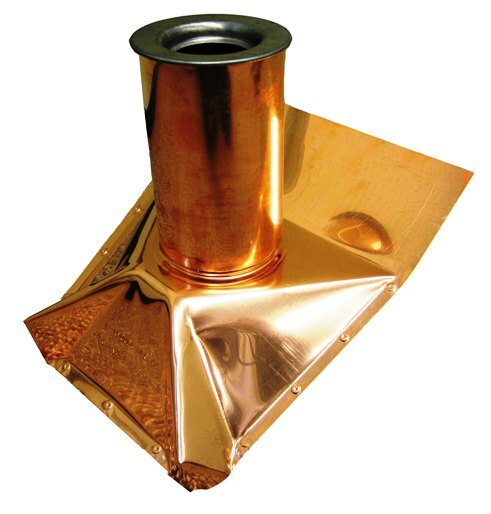 Ventilate attic space and lower cooling costs in the summer months. 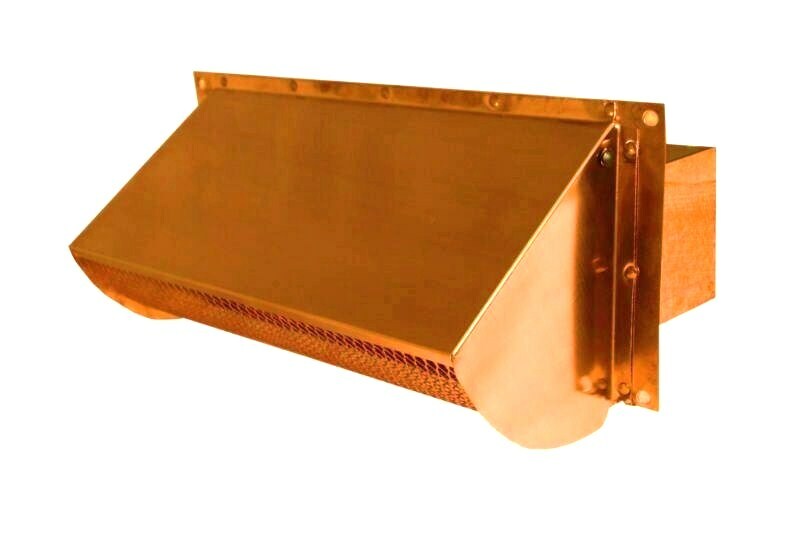 Pipe/Throat Size - 4", 6", 8", 10"
Rectangular shape fits ducting for Range Hoods, Kitchen or Microwave Venting or other exhaust needs. 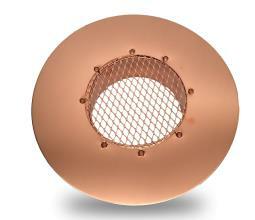 Use for exhausting dryer, bath fans, range hoods, kitchen fans, or other appliances. 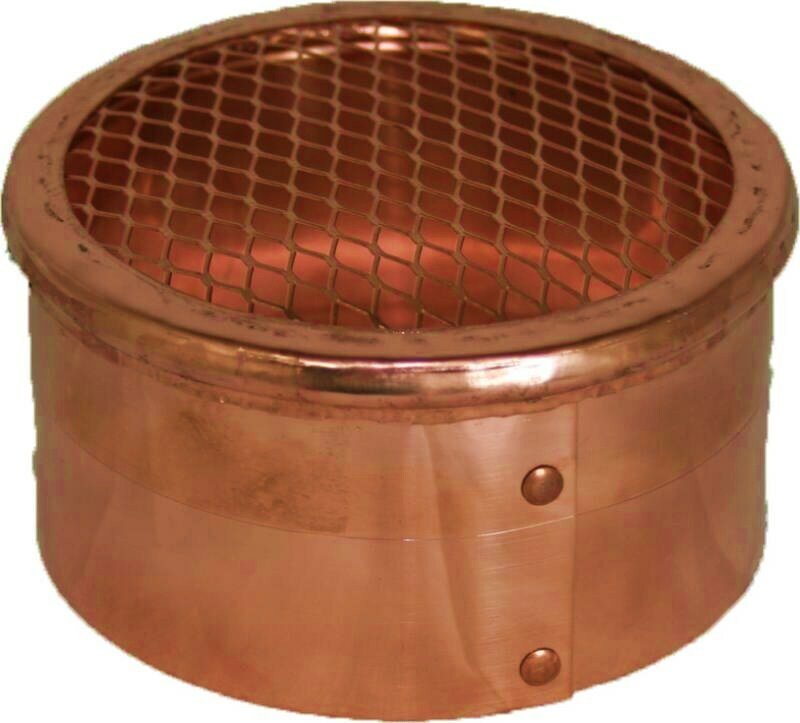 Use for fresh air intake for furnace, boiler, gas appliances or HRVs. 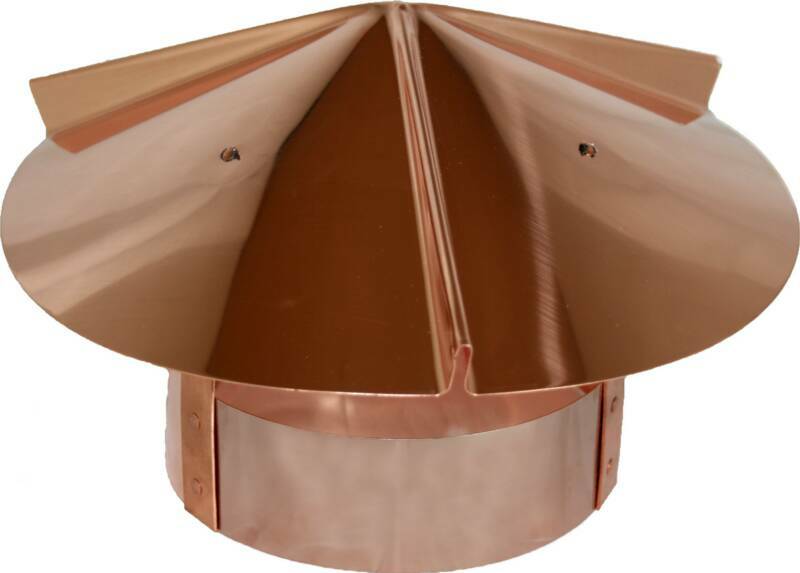 Pipe/Throat Size - 3", 4", 5", 6", 7", 8", 10"
Copper Rain Cap Vents -- Also called Cone Top Vents or Shanty Caps, this product may be used as an all weather cap to prevent snow and rain from entering your chimney pipe. 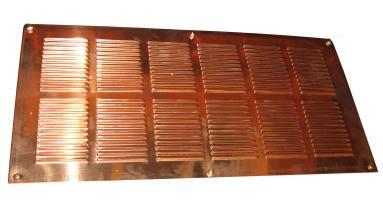 Copper Vent - Available in 4", 6" & 8"
Beautiful 16oz copper gable end vents not available in stores. 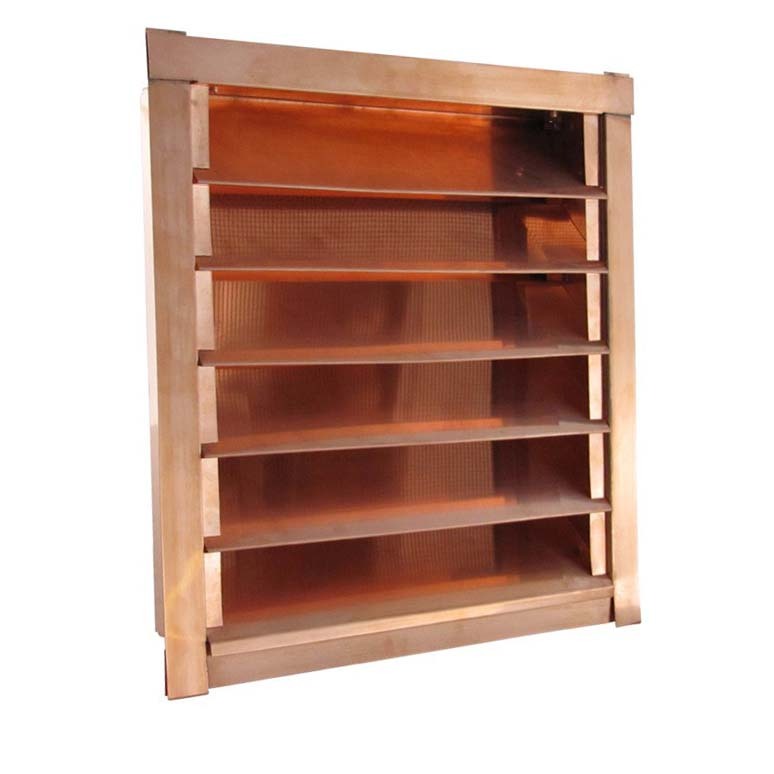 Our flush mount copper gable vent is hand made sturdy with a tight copper bug screen behind the louvers to keep pests out. Allow for 3-4 days manufacture time. Call or email for pricing for different sizes, styles and quantity discounts. 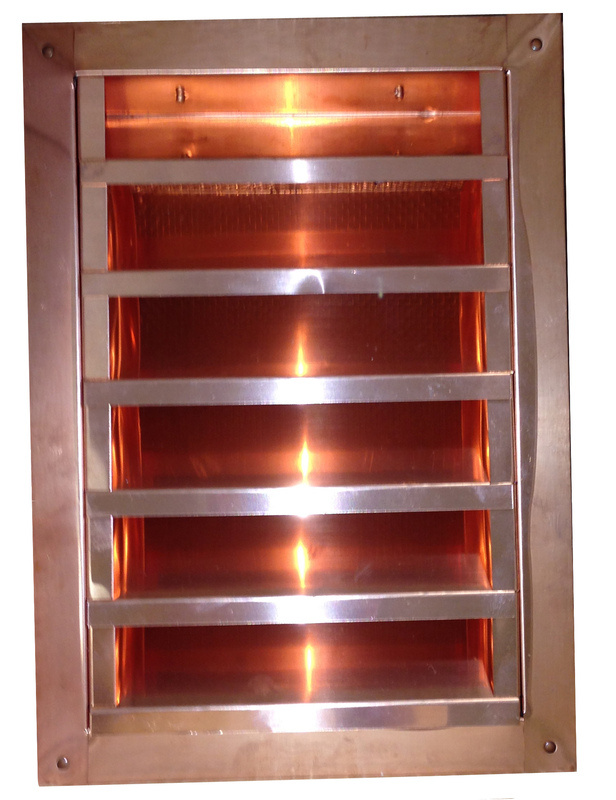 The copper soffit and foundation vents below were previously custom orders only, but due to popular demand we are now producing them for purchase. Allow 3-4 days manufacturing production time plus shipping. 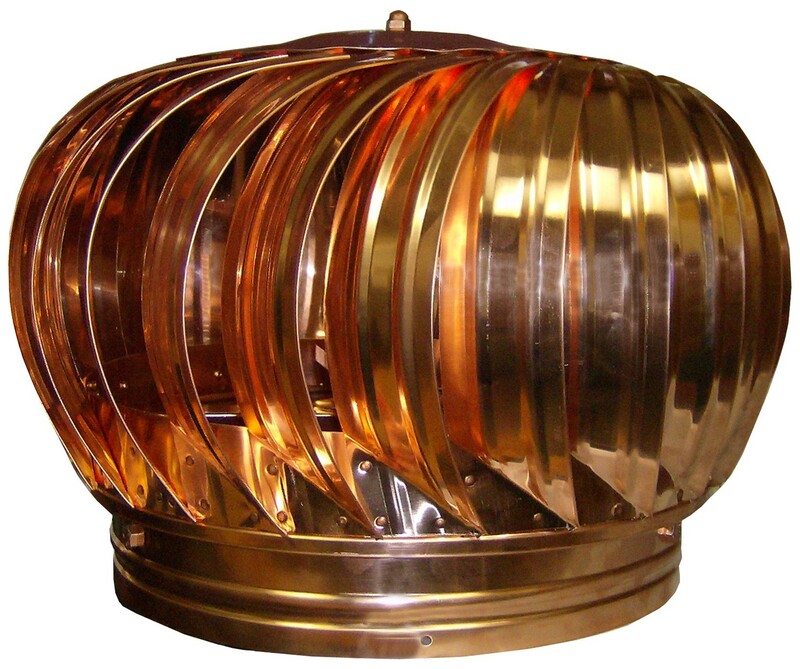 Beautiful Copper Turbine Vents are effective at expelling heat and decorative additions to any building. Allow 3-4 days manufacturing production time plus shipping.